Oak, Unfinished, Non-Fireproof, Lock Block/Bracing Pack supplied. This traditionally styled range with a distinctly nostalgic flavour is absolutely ideal for anyone wanting to give their home an authentic period look at an affordable price. Extra wide mid and bottom rails recreate the attractive aesthetics of a bygone era. 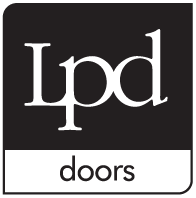 All doors are supplied at 40mm thick, comprising 20mm bearding and 20mm ledges &/or braces & Frames. Unfinished. Glass packs complementing the glazed models are supplied separately.